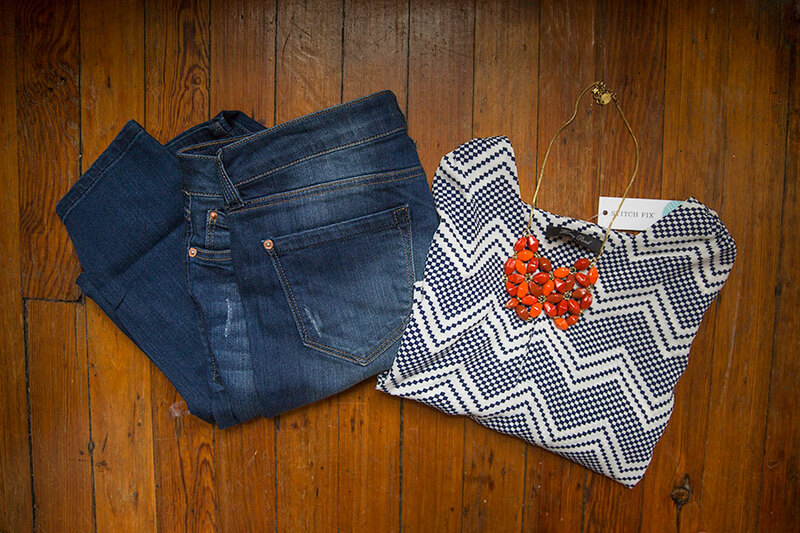 Have you tried Stitch Fix yet?? 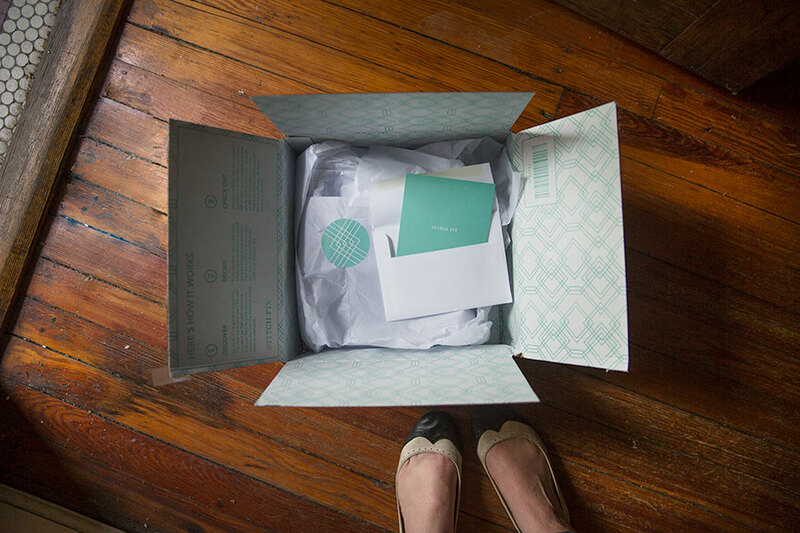 Stitch Fix is a personal styling service that sends you hand picked items in the mail to try on. It’s pretty awesome. You create a style profile, or even a Pinterest board to send to your stylist, and they select clothes that they think you will like. After you receive the package in the mail you are given a few days to try on the clothes and you send back anything you don’t want. Your stylist gets to know your style over time and therefore selects better items for you the more times you get a ‘fix”. To be honest, I was a bit skeptical about the service when I first heard about it – I mean how well could someone style me via the internet? But I read so many great reviews from bloggers and even friends I knew personally that I decided to give it a shot. I also really liked the idea of expanding my style beyond my usual stores and trying on clothes I might not choose for myself. I figured I could always send everything back if it didn’t work out. 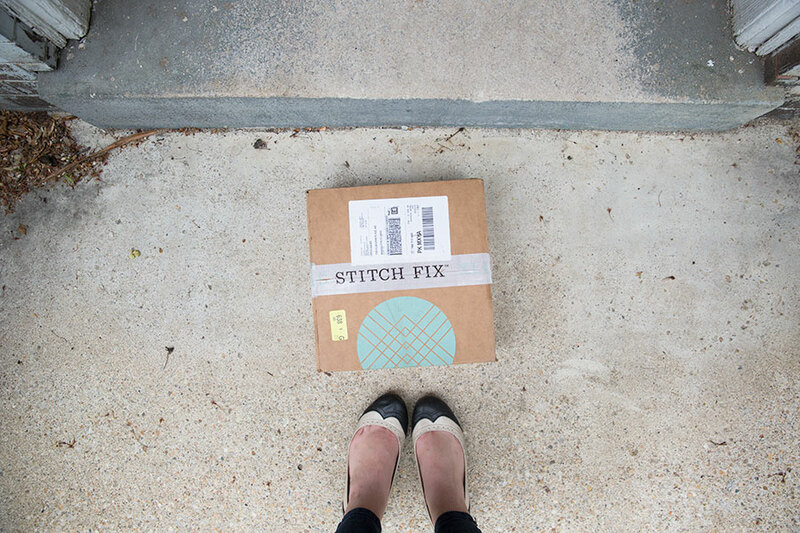 My first Stitch FIx came in the mail this week and arrived on my doorstep in this adorable box. It arrived with five items for me to try on: Jeans, a dress, a necklace, a dressier top, and a casual top. I was surprised at how much the items matched my style! I knew right away that my stylist, Christine, had reviewed my Pinterest board. 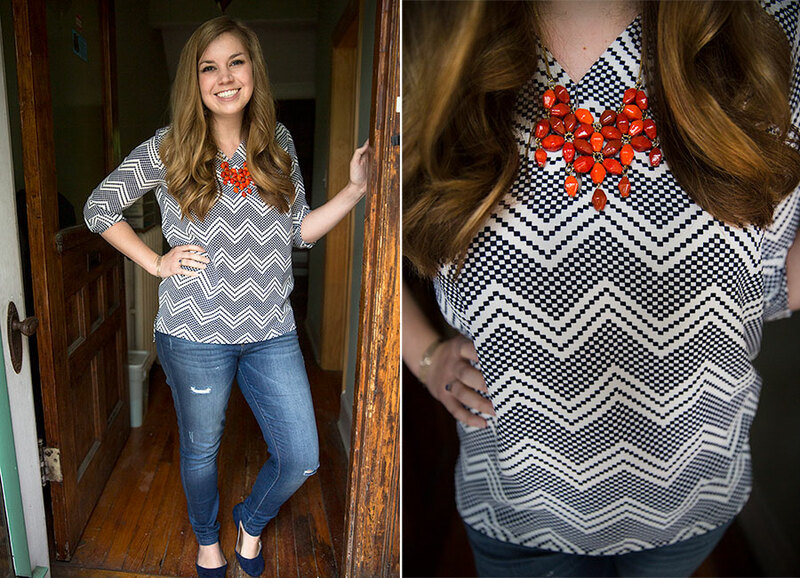 Right when I saw the dressier top and necklace I knew I would be keeping them, but I wasn’t sure about the jeans. I couldn’t imagine that jeans from the mail would fit on the first try – but they did and I really like the way that they fit! 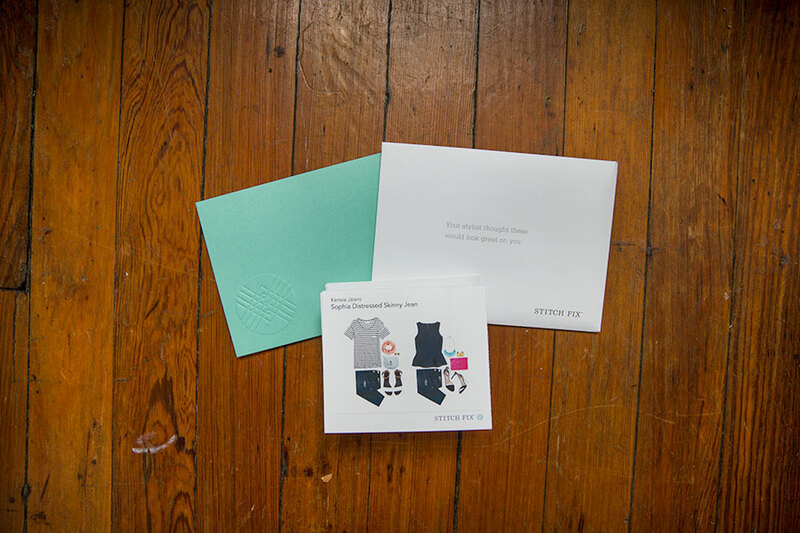 She also sent a card explaining why she sent the items to me and cards with styling recommendations for each piece. I ended up keep the jeans, the dressier top, and the necklace. I sent back the casual top just because I didn’t really like it and the dress because it’s cut didn’t look great on my body type. Honestly I expected to send back more items on my first ‘fix’ and was shocked that I kept three items! I would highly recommend giving their services a try! I had a lot of fun with my ‘fix’ and plan on using them again in the future! Want to try? Click on the button below! PS – Check out my Second Fix and my Fourth Fix to see what I got in my next boxes!